In a dynamic and rapidly changing industry of export/import logistics in Bangladesh, Conveyor Logistics Limited (CLL) has emerged, through 21 years of experience, as the country’s leading logistics management company. Our journey began in 1998, and since then we have evolved into a comprehensive one-stop service provider for shipping, clearing and forwarding, export and import, project installation and support services. With a broad range of logistics capabilities and a team of over 250 staff, CLL takes pride in its capacity and overarching expertise that enables it to effectively meet any need for logistic services. Our strong commitment to exceeding our client’s expectations of quality has earned us the ISO 9001:2008 accreditation in 2011. We also adhere strictly to the Health, Environment and Safety (HES) policy that is enforced throughout the organization. 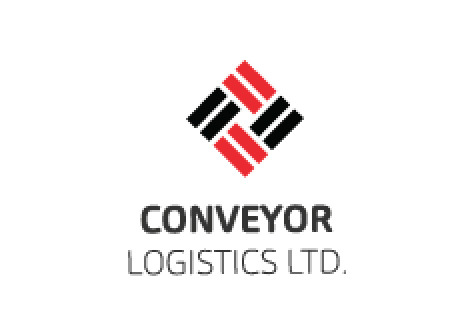 Conveyor Logistics has delivered numerous projects across Bangladesh to national and international clientele, consistently catering to our clients’ needs with utmost professionalism. Transcending the regular work of planning cargo movements, our work encompasses delivering and installing heavy and oversized cargo, using multiple means of inland transport. Our service covers every aspect of cargo movement: survey, planning, monitoring, insurance, and customs clearance. Our specialized team can give our clients individual account supervision and status reports every step of the way, and is capable of covering every detail of project requirement, right down to in-house catering at the project site. When you select Conveyor Logistics to manage your project, you get a true partner in the logistics industry. With headquarters in Dhaka, our dynamic team of over 250 staff works out of four offices in Dhaka, Chittagong, Khulna and Benapole. Our global network and direct links to over 270 ports, allows us to provide dependable air and sea freight services every day, across the world. Conveyor Logistics also offers a full range of support services in offshore oil and gas surveys, specialized and general civil construction, and customs brokerage. Over the years we have prioritized establishing long-term relationships with all our partners for sustainable growth. Our long-standing relationships with the National Board of Revenue (NBR), the Board of Investment, Chief Controller of Import and Export, Customs, Department of Passport and Immigration Department, and Bangladesh Central Bank –allows us to offer a complete service package to our clients, right down to handling visa extensions and renewing work permits. We also offer international courier services and travel planning services, via our sister subsidiary companies. We have successfully completed several projects in the oil, gas, and power sector, as well as water treatment plants and construction. 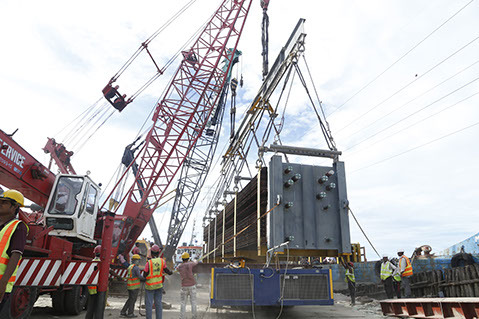 Handling and, heavy lifting and installation of dangerous and oversized cargoes.